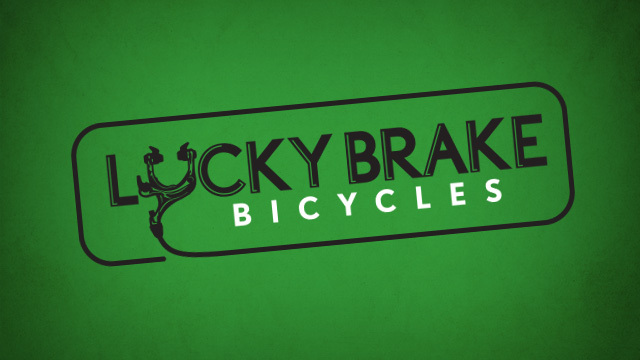 Lucky Brake is one of the most popular bike shops in the area, and once you get to know them it is easy to see why. Their knowledge base is second to none, and the staff is friendly, professional and always happy to help. When we were brought in, the goal was to keep the essence of what they had already created, they are well established and there was no reason to reinvent the wheel. Our goal was to polish what was already there and allow them to really stand out. Comparison of old and new. It was very important to them to keep the look similar. We beefed up the lettering and made it easier to read at a distance. We decided to flip the brake in order to create a unified look inside the mark. 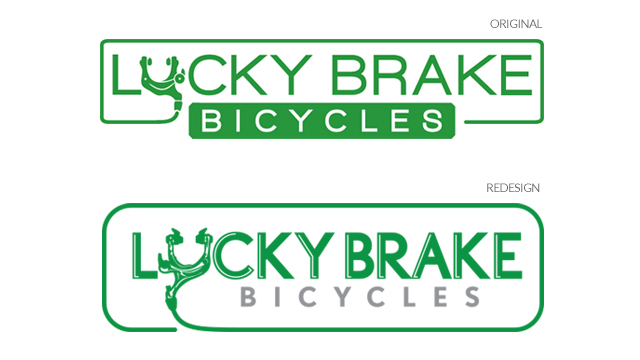 This allowed us to keep bicycles close to the name instead of making it seem like an after thought. 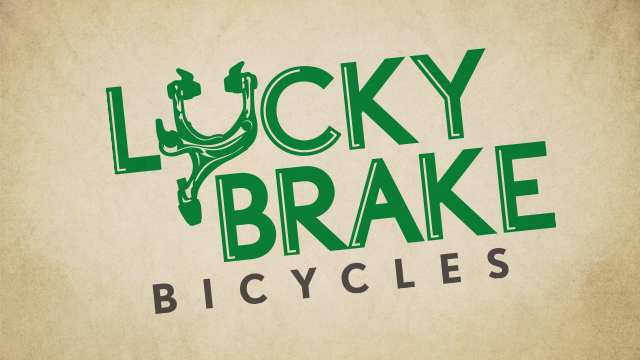 The original brake was simplistic, we created more visual interest by adding detail and carrying the look into the wording. We rounded out the corners of the enclosure to give it a softer feel while also more closely mimicking how a brake cable might respond. We also created a stacked version of the logo that can be used in vertical situations. 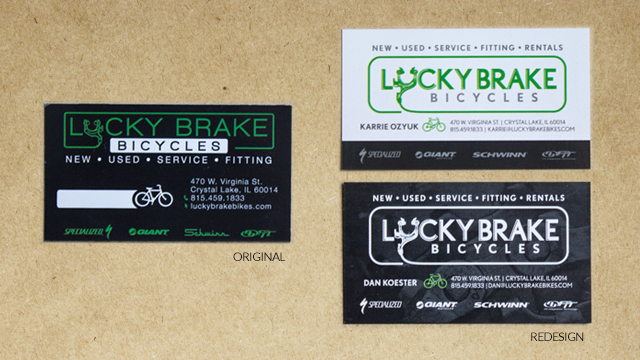 The business card redesign focused on keeping things clean, organized and easy to follow. The logo is the main focus and leads you to the contact info below. 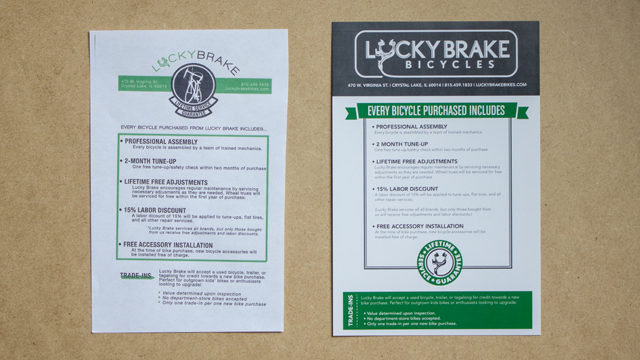 We created two different variations of the card, and both work great. 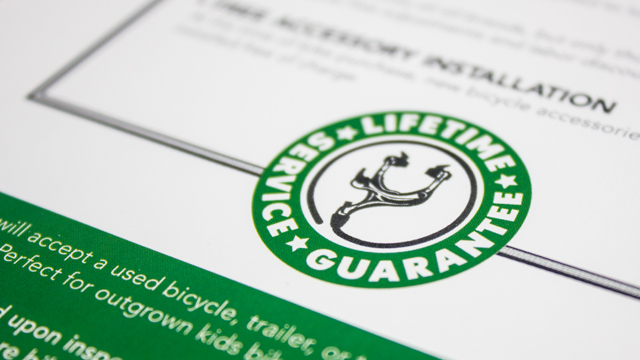 The old Service Agreement that they were using was a simple color copy that they would cut out themselves. 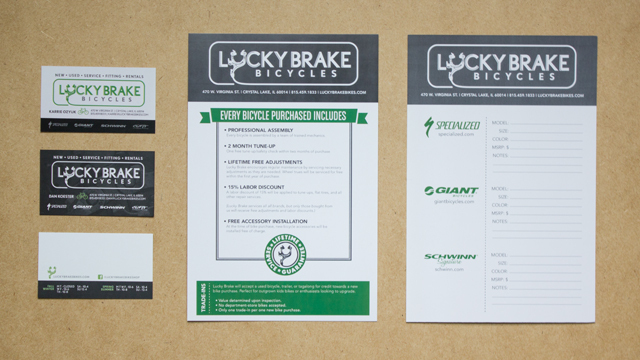 We decided to ratchet it up a notch and created a piece that lets you know when you buy a bike you are going to be well taken care of.